Mission: Impossible presents an interesting quandary for me: Is it wrong to dislike a game for what it isn’t? On its own, the game is a decent action romp with a reasonable use of the show’s license. Yet while playing it, I was focused almost entirely on what the game could have been, had some different choices been made. It’s not an issue of technology, or 20/20 retrospective clarity, just some simple game design choices that I don’t agree with. And that, for me at least, was enough to bring the game down. This version is not based on the original 60’s classic series, but the obscure 1988 remake. Characters and their skills are pulled from that series’ cast list – a bit of a downer, but a better start than Tom Cruise and the films. The reoccurring point of the show, of course, was that a team of IMF agents led by Jim Phelps would enter into foreign territory, do something brilliant, and save someone in the process. These concepts remain in the game, more or less intact. The intro shows Phelps getting his briefing, and presents you with the overarching story of game: rescue “Doctor O” from the Sinister 7. 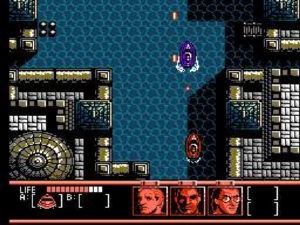 The rest of the game plays out as one complete episode over six levels, culminating in an ending that shamelessly rips off Wargames. We seem to be doing okay so far, right? 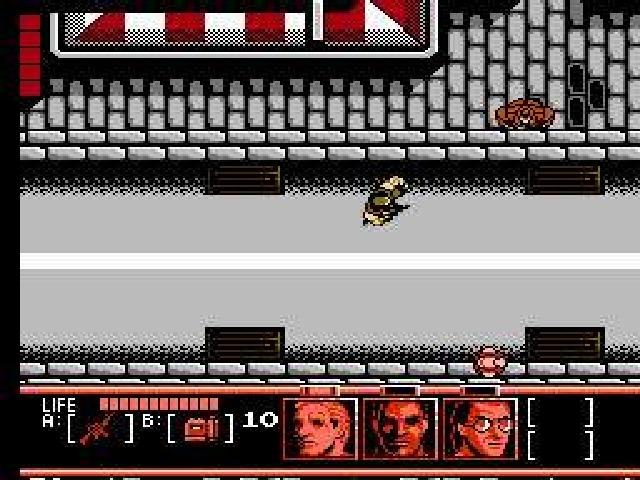 Unfortunately, though the game is respectful of the Mission: Impossible license, it’s not exactly a great representation of it. The teamwork that is behind every single episode of the show is basically absent here, as are any creative covert tricks or operations. The game is mostly a run and gun shooter; a fact which makes my heart cry cold tears. 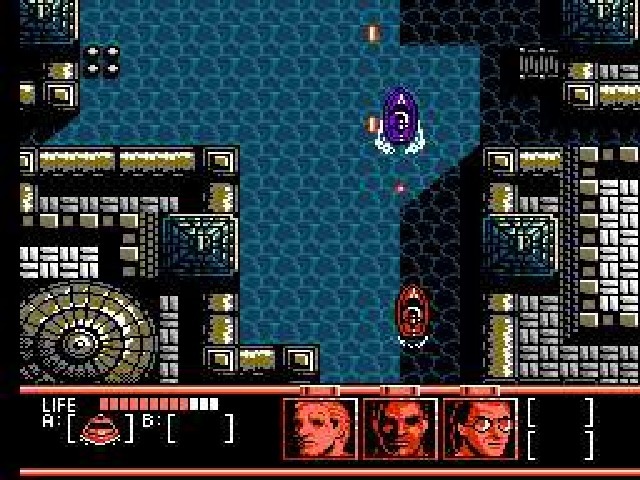 You do get three different operatives with different skills – one is a fast running brawler, one is a slow moving gunner, and one is an average character that can disguise himself as the enemy. If you’re wondering why everyone is build for combat, then we’re on the same page. Even the spy’s limited disguises last a maximum of four seconds, and are only good for sneaking past groups of enemies, never any kind of espionage. When I picked this game up for review and learned about the three characters, I was expecting missions where your spy sneaks in and opens a gate for your tech guy across the level, who then slices the computers and opens the doors for your assault guy to raise hell. Not the case. Every character and their abilities are designed for fighting, and you do not control them independently. When you want to switch characters, you pause the game, and your character instantly switches with the one you selected. This totally ruins the possibility of having simultaneous action, such as one agent helping another across the way, or elaborate entry plans. Instead, missions play out like this – you walk down the street shooting enemy agents who attack you on sight, until your machine gunner takes too much damage and is about to die. Then you switch to another character with better health and fight on. Occasionally you will talk to people who give vague hints about the mission, which involves wandering around until you find a switch to open a door, and fight the boss at the end. Sounds more like The A-Team to me. Graphically, Mission: Impossible can hold its own. It sports the unconventional overhead view, which works reasonably well for navigating and dodging bullets. Characters are appropriately sized, and it’s easy to tell who is a bad guy, and which of the three characters you’re currently controlling. Sound is pretty impressive, with a great rendition of the show’s theme, and nice background music. The effects are the standard fare, and you might even recognize a few recycled from other Ultra games. Control generally works, except when trying to line up moving enemies. The overhead view allows you to shoot in eight directions, but the response for which direction you are precisely intending to shoot is a little iffy. Other than that, the game works well. So, we’re back to where we started, with a game that is a decent but unremarkable shooter that doesn’t live up to the expectations of the license. It doesn’t mean its bad, and if you’re patient, you might even enjoy yourself. It doesn’t mean its great either, and if you’re looking for something other than the conventional fare, other games are out there that do it better than this one. Entertaining, but pretty standard, action shooter.